I started my actively running in Indonesia and Malaysia last few months, but running in much lower temperatures makes a world of difference! In November last year I decided to quit smoking, while starting my new job and excersizing a lot more. I was doing a quite some running on the treadmill so far, mostly I could run up to 5k but then I've reached my limit. Two weeks ago I was in Malaysia for work and I decided to run at the Kuala Lumpur city park behind the Petronas Twin Towers. Then I started to like running outside a lot more compared to on the treadmill! So I thought, why not bring my running gear to the Netherlands as well. It was 10-12 degrees Celcius average in the Netherlands last Christmas, but I thought I would get used to these temperatures after 10 minutes of running. Boy, was I wrong on the first run! The first run I went on the Huissense Dyke in South Arnhem; although my body warmed up quite fast, my ears were freezing! Since the dyke is elevated, quite some strong winds were blowing right into my ears. As a result I was only thinking about my ears and didn't focus on my legs, breathing, and posture. Surprisingly once I got back home again the Nike+ Running App on my Android phone said I had been running 9 kilometers (~ 5.5 miles). Which is nearly double as I can do in tropical Indonesia & Malaysia. I was so proud of myself! Running in the late afternoon was also amazing; you could see a bright orange glow in the winter sky as the sun doesn't reach that high. Such a beautiful view! I ran another 7k two days and four days later. However on the last run my right knee started to hurt a lot; I got a bit lost along the way and ended up running though some muddy pasture. It felt nearly impossible for me to bend my knee the three days after. Perhaps I ran too much? 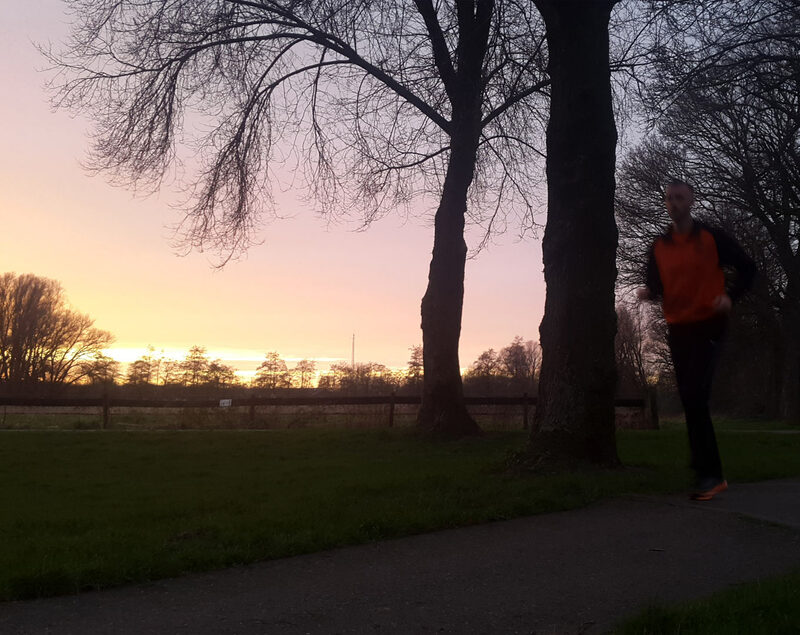 Either way, in the end I really enjoyed running in cold(er) Netherlands! It's too bad I can't enjoy this type of wheather in Jakarta, perhaps I should go running in the Indonesian mountains instead? I'll probably never do that, but you never know.